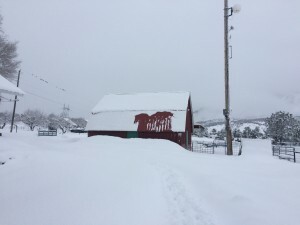 This has been one of the snowiest winters in a long time. 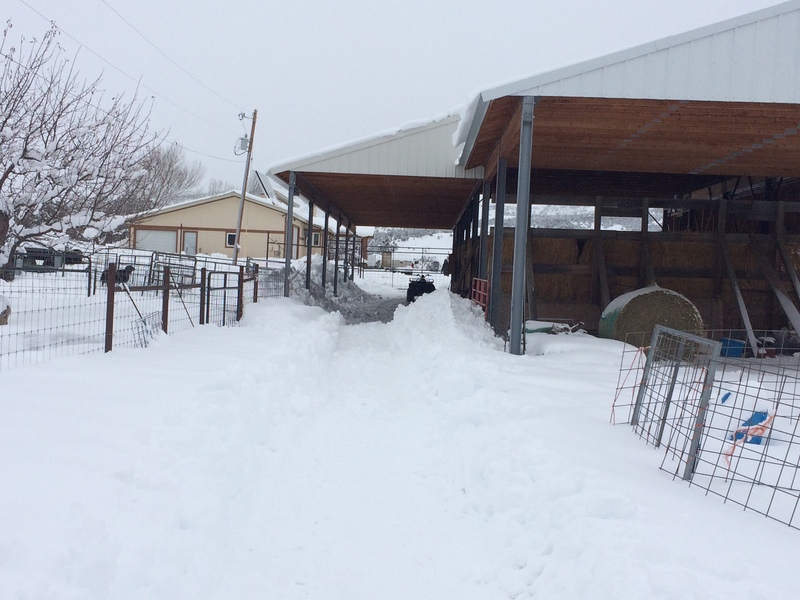 The aisle way under the hay barn and the ram pens are totally filled with snow. 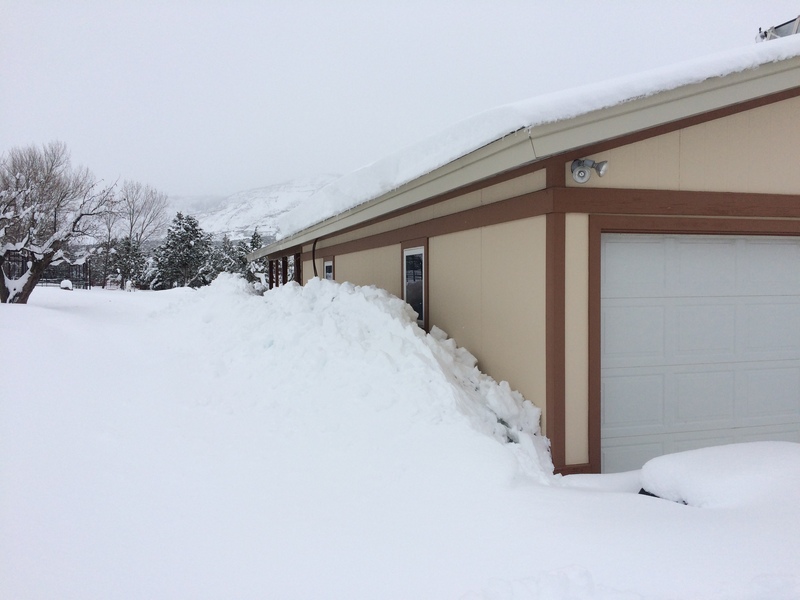 It’s almost up to the eaves in back of the garage. 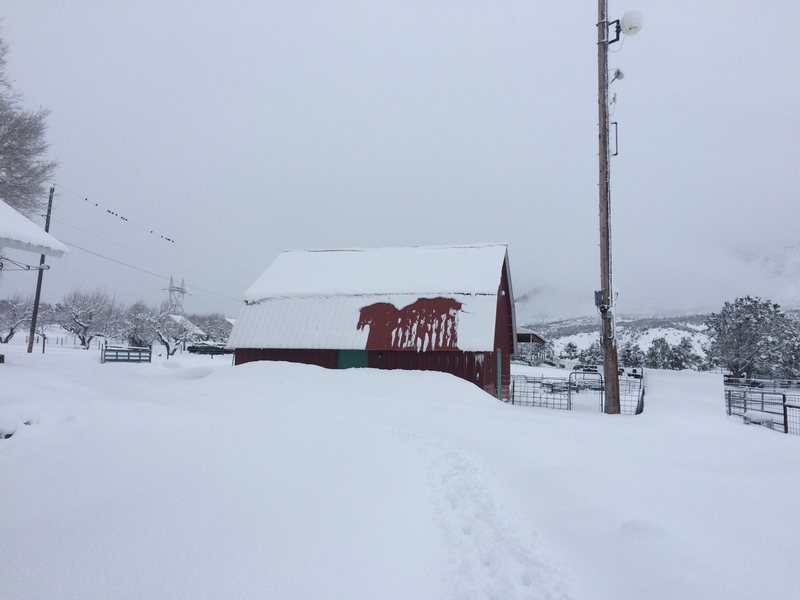 And the red barn is nearly buried too.